In my home, the months that follow Christmas are some of my favorite for decorating, but that hasn’t always been the case. Like most people, I am naturally drawn to the fall and Christmas seasons when I think about my home décor needs, with spring or summer coming in at a close third. But over the years I have come to really adore the first few months of the year as a time to reset my goals for hospitality and décor for the new year. There is a certain amount of unspoken space given to this time of the year, and with it comes the freedom to create a little breathing room in my home. Although that may mean that my décor is not quite as involved as what you might find throughout the months of November and December, it doesn’t mean that I neglect the quiet of the winter season and the holidays that accompany it. In fact, that’s one of the many reasons why I enjoy designing decorative tassels: they are a quick and easy, no-fuss way to decorate at any time of the year. The Resin Cardinal Tassel will add a touch of timeless charm to your country, traditional or modern home. Did you know that the Cardinal is the state bird for seven states in the USA? The approximate size of the tassel is 6″H from the top of the figurine to the bottom of the trimming and 3.5″ in diameter at its fluffiest part. 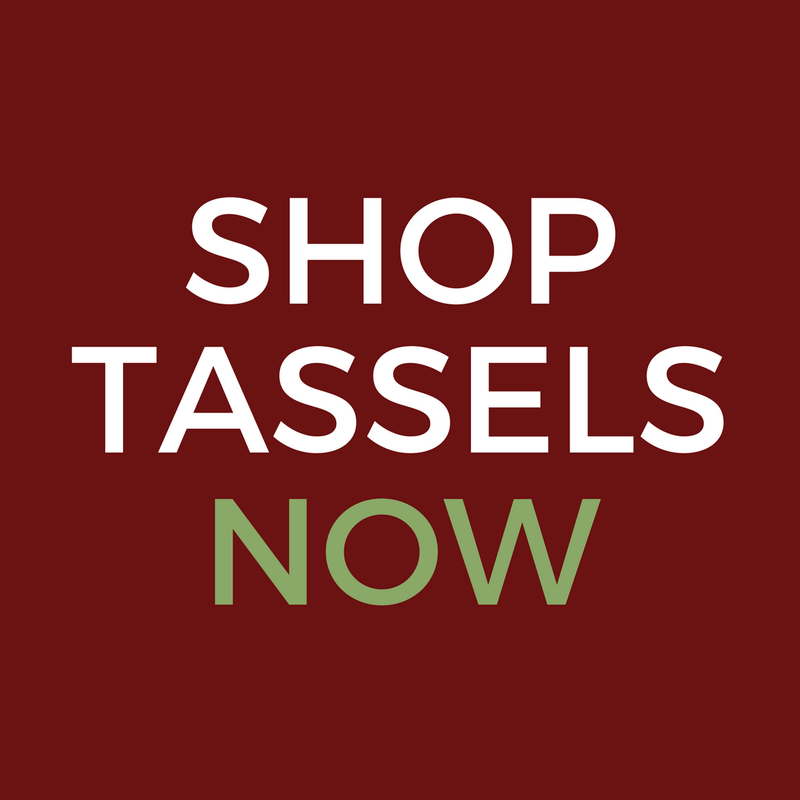 A tassel from Classic Tassels and More makes the ideal gift for: Hostess, Housewarming, Mother’s Day, Father’s Day, Birthday, or Anniversary. Add a spot of red, style and tradition to your home decor. Mardi Gras is a Carnival celebration culminating on the day before Ash Wednesday. The Mardi Gras Tassel portrays the mystery and intrigue of the ritual celebration in New Orleans. The approximate size of the tassel is 7″H from the top of the figurine to the bottom of the trimming and 5″ in diameter at its fluffiest part. The perfect gift for the young and young at heart celebrating a Birthday, Special Event, or Just Because. The Mardi Gras Tassel is a special way to celebrate the largest masked party in North America. A jester, an entertainer, providing smiles and comic relief for centuries. The Jester Tassel is styled with a dash of fantasy to add a touch of whimsy. Funky styles and punchy pops of color make the perfect conversation piece and accent in your country, traditional or modern home. The approximate size of the tassel is 7″H from the top of the figurine to the bottom of the trimming and 5″ in diameter at its fluffiest part. The perfect gift for the young and young at heart celebrating a Birthday, Special Event, or Just Because. Valentine’s Day, or Feast of Saint Valentine, is an annual holiday celebrated on February 14. It is a festival of romantic love. Our Key to My Heart Tassel is the perfect way to accent your home and commemorate this special occasion of celebrating love. The touch of red and black are sure to accent any country, traditional or modern home. The approximate size of this tassel is 6″H from the top of the figurine to the bottom of the trimming and 4″ in diameter at its fluffiest part. The heart, a symbol of fondness, tenderness, warmth and intimacy, our Key to My Heart Tassels will make the perfect gift: Hostess, Housewarming, Special Friend, Soulmate and Birthday. Our Snowman Tassel is the perfect accent for any home. A winter symbol and indicator of sufficient snowfall, a snowman will bring a smile to your face. The cheery snowman stands between winter and our wish for a speedy return to Spring. The approximate size of this tassel is 6″H from the top of the figurine to the bottom of the trimming and 4″ in diameter at its fluffiest part. Nestle close to the fire, serve up a cup of hot chocolate and enjoy the warmth our Snowman Tassel will bring to any country, traditional, or mountain home. Share the warmth and smiles of our tassels with friends and family. They are the perfect gift: Hostess, Housewarming, Birthday, Winter Feast and just because. 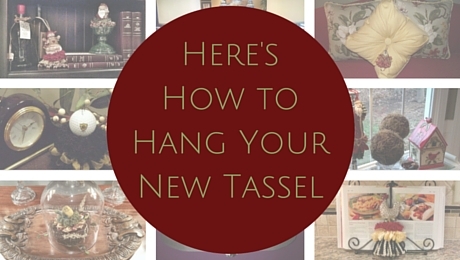 Visit our online store for more no-fuss decorating ideas!